Motorola launched its Moto Z3 flagship last August, but since it came with 2017's Snapdragon 835 chipset instead of the then latest 845 it's due for an upgrade sooner than usual. The company is reportedly already working on its successor - the Moto Z4 - which will be powered by Snapdragon 855, and, its press image has just leaked online revealing its design. This image shows that the Moto Z4 will come with tiny bezels with the display having a waterdrop notch up top. Round the back, it has pogo pins which confirm Moto Mod support. The image further reveals that the Z4 will come with a single rear camera which is surprising in 2019. However, the good news is that it's reportedly a 48 MP sensor sourced from Sony. The Moto Z4 doesn't have a fingerprint scanner on its back, so we are assuming it be built into the display. Other things we can ascertain from this image are the placement of volume rocker and power button on the right, a 3.5 mm headphone jack at the bottom, and the April 3 date on the lockscreen which is when it might go official. 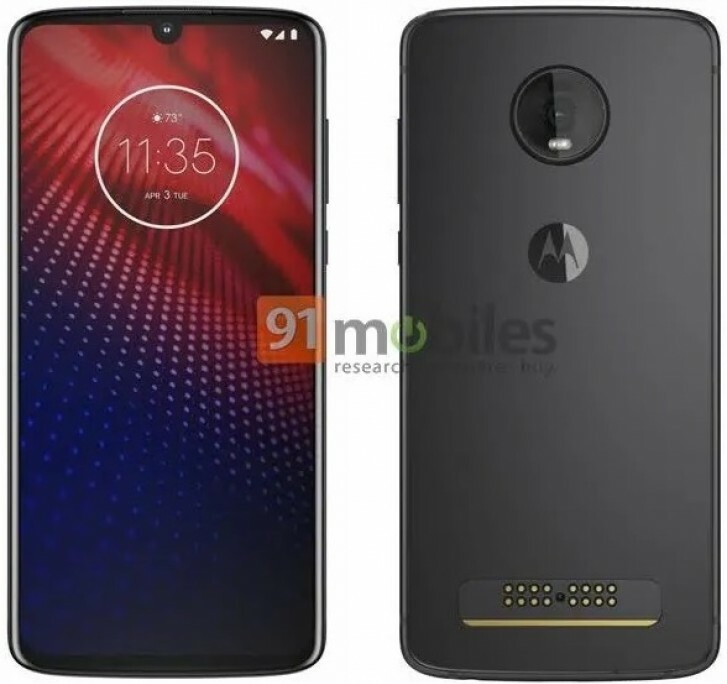 A similar looking phone referred to as the Moto Z4 Play leaked in January, but the source of the current leak says Motorola has no plans to release a Play variant in the Z series this year which means either the render of Z4 Play is fake, or the project was scrapped. Love the design. If it has a curved screen, that will be perfect. I want this. Good design. I hope the price will be attractive and it will be available in indonesia. I love its single rear camera too, I don't need more than single camera on the rear.